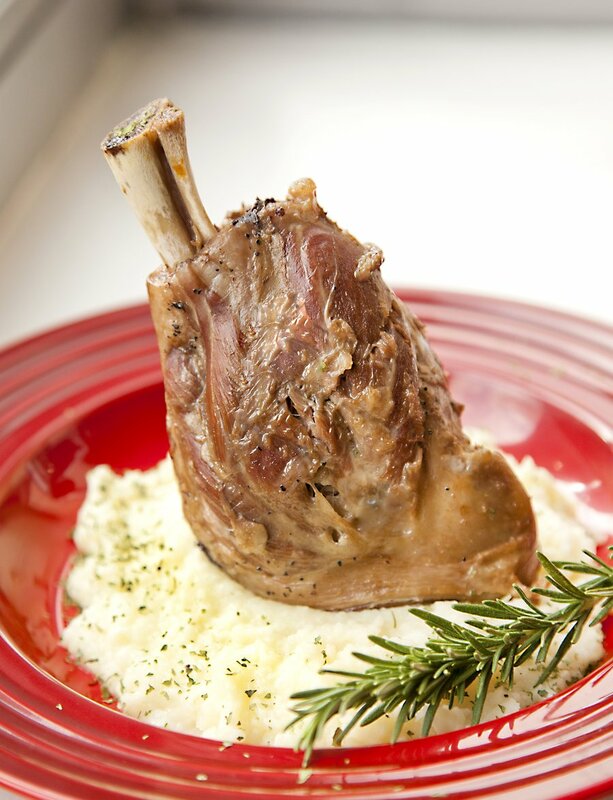 I went with Daphne's pick of "Lamb Shanks" - Thank you Daphne! 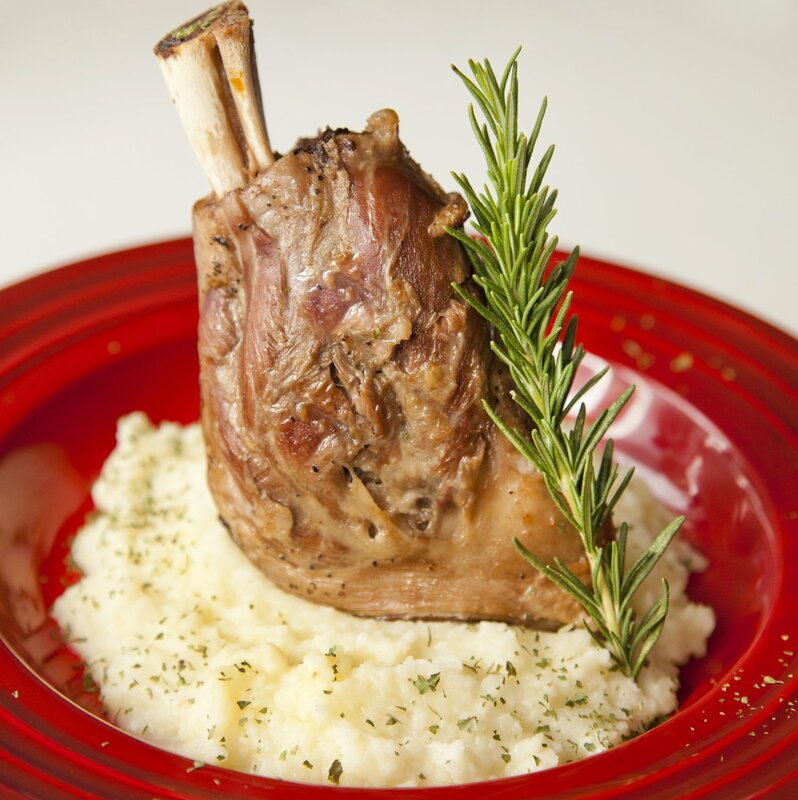 I love braising (as I may have stated roughly 400 times already) - so I decided to pair this lamb with the obvious herb: Rosemary. I added in some fennel seeds as well to give that great pop of flavor. Since I used Chicken Stock instead of Beef Stock - I added a little Gravy Master at the end of the braising process just to darken the liquid (this is just for my own personal aesthetic preference). 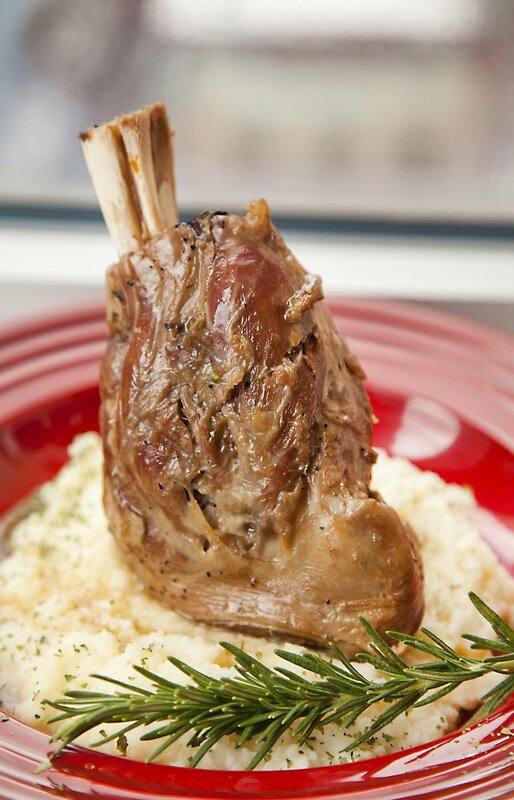 Season your Lamb Shanks liberally with salt and pepper on all sides. In a heavy bottomed pot, heat up enough Canola Oil to lightly coat the bottom of the pot. When the oil is smoking hot, and in your shanks and brown on all sides. Remove to a resting rack. Pour off the excess fat in the pot and add in your onion, carrot, celery, garlic and fennel seeds. cook for 5-8 minutes over a medium heat, stirring to get all the brown bits off the bottom of the pot. Add in your wine and cook til the wine has completely reduced. 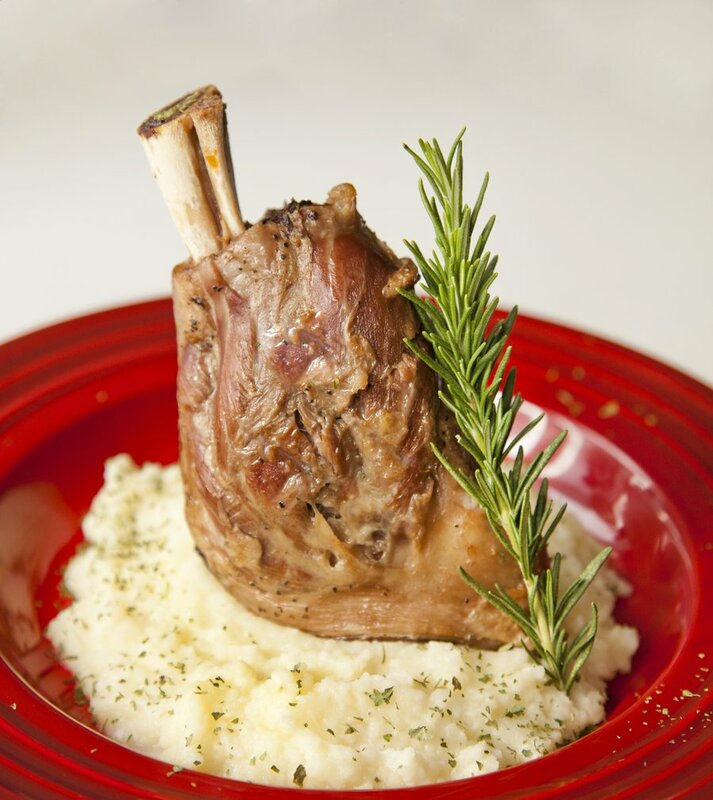 Add back your lamb shanks and pour in your stock (you want the shanks pretty much covered). Add your herbs and bring to a boil. Reduce to a simmer, cover and cook 2 hours (turning over the shanks halfway through cooking). Uncover the pot at this point and cook another 30 minutes. 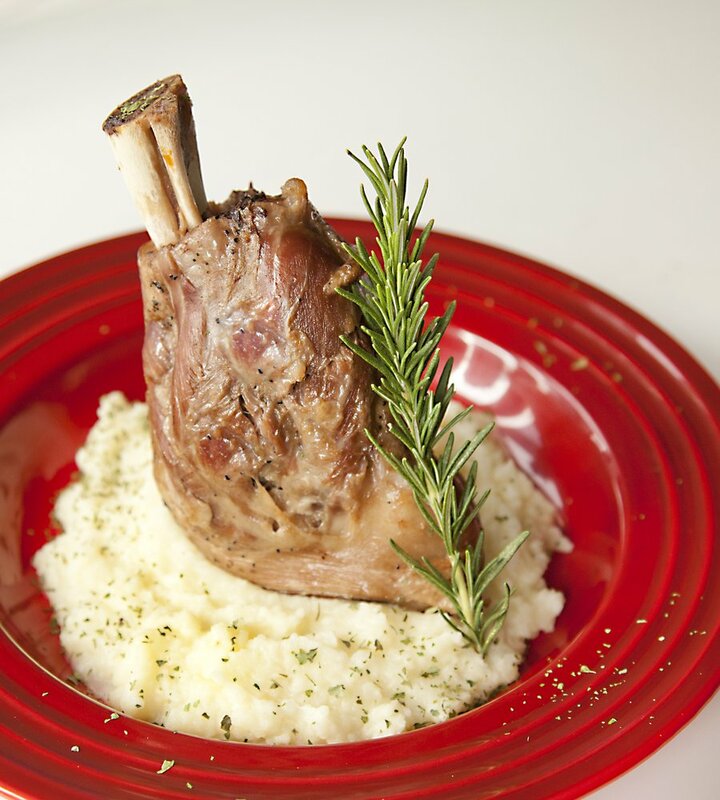 Remove your lamb shanks from the pot and let rest on a rack. Strain your braising liquid through a fine mesh strainer and discard of all the solids. Pour your liquid back into your pot and start to reduce your liquid over a medium high heat. Once it can coat the back of a spoon, taste and season with salt and pepper. 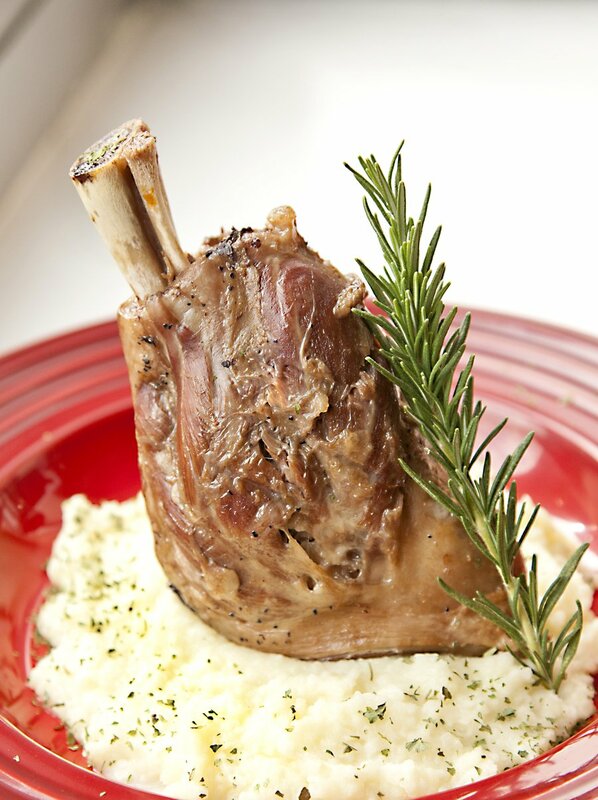 Add your lamb shanks back to the pot and gently baste with the reduced liquid. 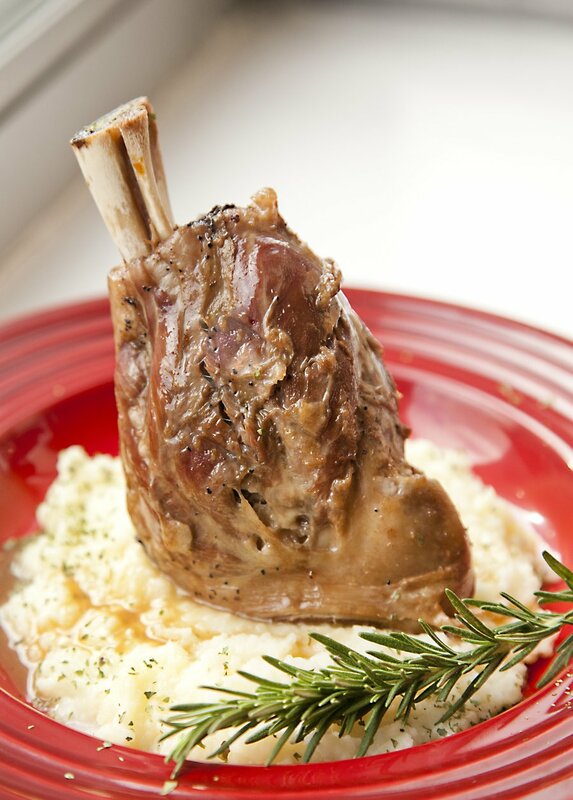 Serve the lamb shank with a little braising liquid on top. *Optional: you can set your shanks under a broiler for a few minutes with some of the braising liquid on top to give it a more glazed look - just don't keep them under the broiler for too long! Add your potatoes to a pot of heavily salted water. Bring to a boil and cook about 15-20 minutes until a pairing knife slips into the potato easily. Meanwhile in a small sauce pan, add your butter, milk, garlic and cheese, and combine until the butter and cheese have melted, forming a sauce. Once the potatoes are done - drain them and put them immediately through a ricer, back into the pot you cooked them in. Slowly add in your milk/butter/cheese mixture while stirring. Taste and season with salt and pepper. Serve hot.